Is your home loan as beautiful as it seems? Or does it have hidden secrets? The festive season is regarded as an auspicious time to purchase a new home, and many may be getting ready to book their first one. Along with the festive season, the comparatively low interest rate levels and attractive home loan products offered by banks further make a home purchase an extremely tempting decision. It is important that prospective homebuyers spend time analyzing these 'attractive' home loan products as they may include hidden costs that may not be so obvious at the first instance. As they say, beauty is what's inside, and prospective borrowers need to go beneath the surface of their home loan product to evaluate if it is as 'attractive' as it seems. In order to ensure you are prepared to uncover these hidden expenses, here is a quick low down on the various hidden charges that could be part of your home loan product. Most banks and financial lenders levy a certain amount of interest before the actual EMIs start; this is called as the "broken period interest". This is the interest in the gap between the actual disbursement of the first installment of the loan and the start of the EMI. All banks charge processing and/or administrative charges fee for processing a home loan. Having said this, some financial institutions are open to waiving this fee based on your negotiation skills. If you do end up paying the charges, some financial institution will refund the money post the disbursement of the loan, but if the loan is rejected for any reason, there will be no refund to the prospective borrower. Banks carry out a legal verification of the property for which the home loan is being taken before sanctioning the loan. As some financial institutions do not have an internal team of lawyers for this process, they hire external lawyers for the legal verification. These fees are often passed on the borrower. There may be times where there is a significant change in the interest rate by the bank or in case the borrower makes a decision to pre-pay a large portion of the home loan. As this changes the terms of the home loan, there is a fee levied by the banks called a rescheduling fee. A borrower must ensure they are clear about this fee before finalizing their home loan to avoid any unwanted surprises later. 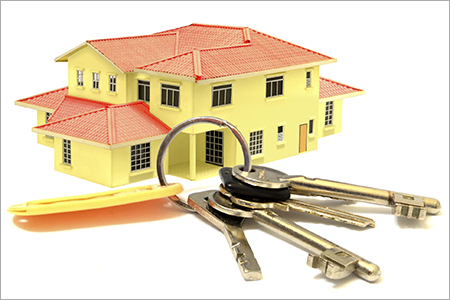 At times, borrowers may want to convert their home loan interest terms from a fixed to a floating rate or vice versa. Although a borrower may switch their interest rate terms as many times as they wish, there is a fee levied each time. Banks can charge up to 2% of the outstanding principal plus service tax on the first conversion, and for subsequent switches, banks may reduce this fee. One should remember that this fee is relatively higher for floating to fixed rate conversion, as there is a higher risk involved for the financial institution. It is advisable that a new borrower ensures they get all the information regarding the conversion possibilities and charges at the commencement of the loan to be well prepared. This could be a complicated aspect of a home loan, and if the borrower is unsure, they should consult a home loan expert for the same. Banks charges a sum of Rs. 500 for obtaining a duplicate statement. Some banks even charge anywhere from Rs.2 per page to Rs.1000 for an entire set of duplicate documents, while others offer it free. The delivery of these documents to your doorstep can take anywhere from one to four weeks. The exact terms of this fee should be checked with your lender. Banks charge an additional interest as penalty on delay of any EMI payment. Therefore, it is advisable to pay your EMIs on time or else it can become a costly affair in the long run. The borrower should check the exact penalty to ensure they are aware of the cost of being late on their EMIs. If your loan is under a monthly reducing scheme, then if you are partly of completely closing your loan in the middle of the month, you are supposed to pay interest on the prepaid amount too, till the next EMI date. The borrower needs to understand this point & the difference between daily & monthly reducing balance loans. When the borrower prepays his loan partially, all banks reduce the tenure by default. If the borrower wants the EMI to be reduced by keeping the tenure unchanged, a fresh ECS mandate has to be signed and the new term sheet/agreement etc may have to be signed with the lender. This might cost some amount & the borrower should clearly understand that at the time of borrowing. If the borrower is taking lesser loan amount(either due to less eligibility or by choice) in an under-construction property & over the period of time if he wants to enhance this amount, some lender will ask the borrower to process new application with all documents & fees again. Hence the borrower needs to consult an adviser to define his loan amount after projection of his fund-flow in future. These are some of the hidden or lesser-known charges levied by lending institutions. It would be a good decision to consult a home loan advisor on the hidden charges of any home loan product to ensure you are taking the right decision. So before you call your home loan product 'beautiful', ensure you take a closer look to ensure there are no hidden secrets and then decide.